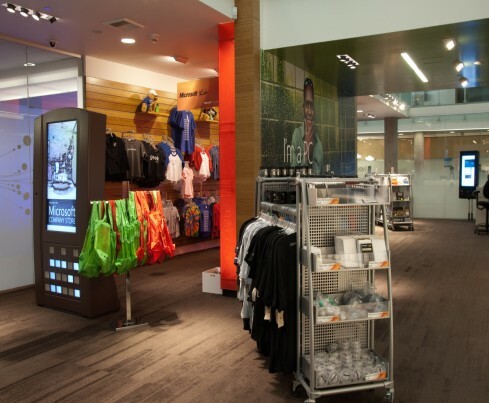 eGlass has been used for several applications in retail stores such as fitting room doors, front display windows, projection screens and fixed walls. For this project, the client used several large, floor-to-ceiling LC Privacy Glass panels as a divider wall through the store. They would cycle the glass from transparent to opaque, projecting images for an exciting, eye-catching display. By using this cutting-edge technology, they were able to attract mall patrons who usually never came into their store and as a result gained new customers.